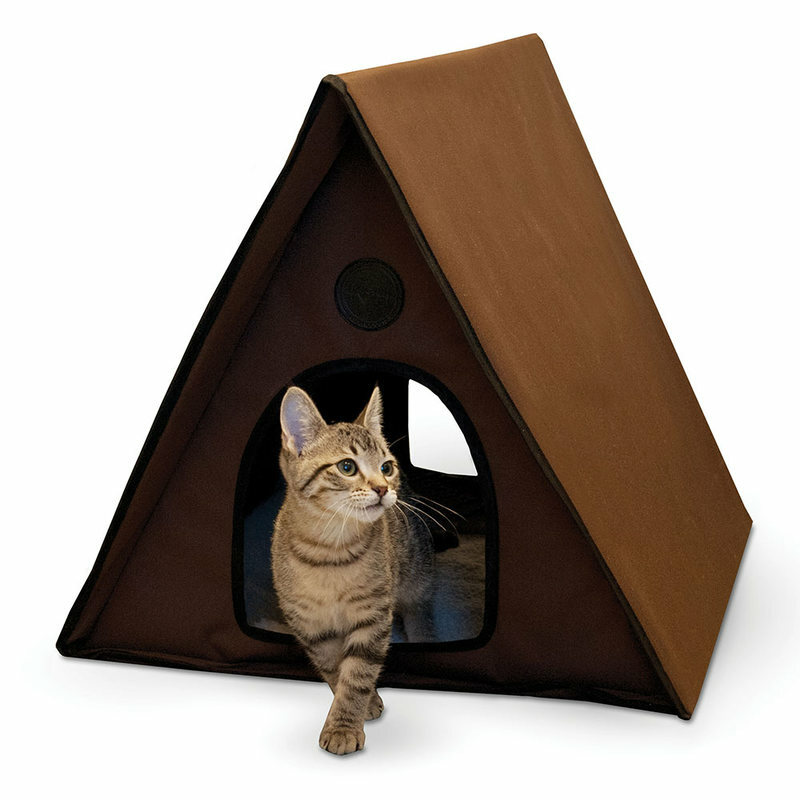 K&H Pet Products Outdoor Multiple Kitty A-Frame Unheated Chocolate 35" x 20.5" x 20"
The waterproof fabric and unique overhang roof design helps keep cats warm and dry and offers a comforting shelter that is large enough for up to 4 kitties. 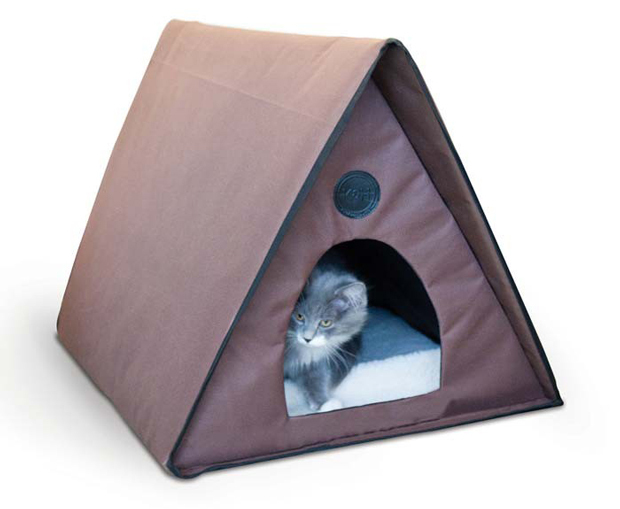 Includes and accommodates a medium K&H Lectro-Soft Outdoor Heated Bed. Includes Lectro-Soft medium to keep kitties warm. Waterproof for use anywhere outdoors. Two exits so pet can not be trapped by predators. Sleep Surface Dimensions: 19" x 24"
Dimensions: 35" x 20.5" x 20"
35" x 23" x 2"